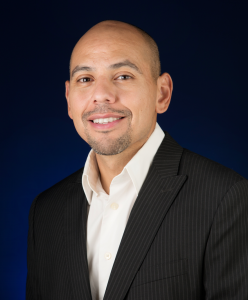 Joining the Communication Studies Department at California State University, San Bernardino, as an adjunct instructor in January 2012, Jose Rivera quickly established himself as a strong instructor, building a rapport with students, and as a willing mentor. Jose, a first-generation college student, overcame many obstacles to get where he is today. He credits his parents as his first mentors, who taught him the value of hard work. Although lacking help with the college process, he enrolled at California State University, San Bernardino, where he had no trouble finding mentors in the Communication Studies Department. Those mentors are now his colleagues, and they continue to guide him through his professional career. Anyone can be successful and the best way to be successful is by sharing advice. Jose hopes his students will continue to pay it forward. “The best way to thank me is to share my advice with others,” he says. Mentoring can have many benefits, but challenges do exist. Jose says, “Talented students are being lost because they lack the presence of a mentor,” adding, “In order to move forward as a country, we, as professors and mentors, need to help students navigate the college system and professional world.” To help solve this problem, he hopes to develop and implement a mentoring program within his department. It’s another way Jose continues to “paint the picture” for his students.